Whether you are a landscape professional, architect, or a facility operator, VersaCourt provides an innovative, centralized design and manufacturing process that improves quality, lowers cost and streamlines installation. 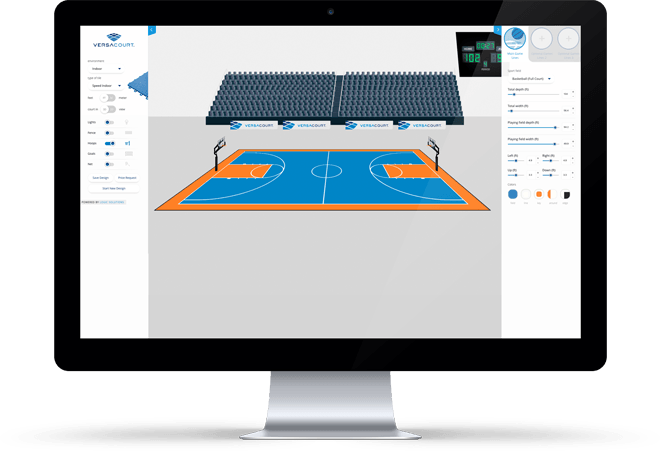 Our staff of in-house design professionals will work with you to understand the scope of your project and develop a court design that perfectly integrates with your existing plans. 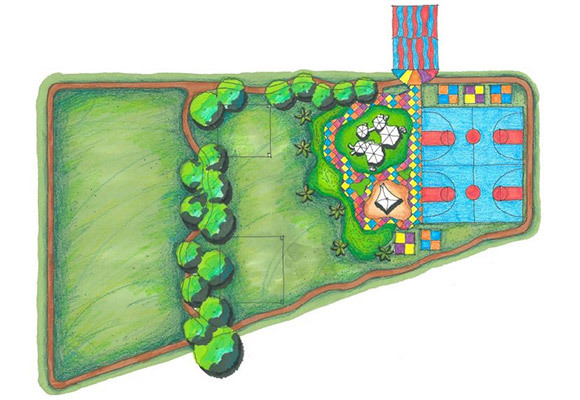 Our partnership with Lanmark Designs allows us to develop professional illustrations and 3D renderings to expertly plan your recreational surfacing project. 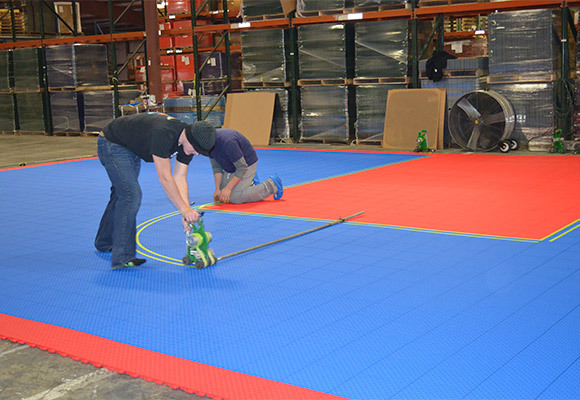 Every VersaCourt game court is fully assembled in our warehouse and all requested lines and logos are pre-painted by our team of professionals in a controlled environment, which ensures accuracy and longevity of the court surface. We then number each section, disassemble the court, and pack the tiles according to a numbered diagram. Courts arrive at the build site on carefully packaged pallets in 4 x 4 sections that are numbered according to your custom diagram. This enclosed diagram shows each numbered section and the order in which it should be installed. Once laid out, the tile can be clicked together easily and securely due to the patented 6-point locking system. 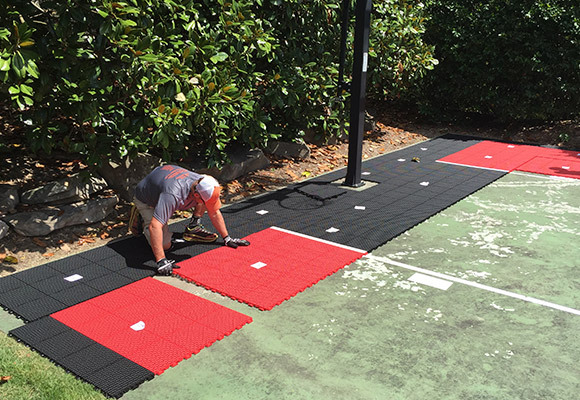 The secret to a long-lasting court lies in expert design, service, and installation. We promise to deliver everything needed before, during, and after installation to make sure that your client is satisfied with the end result.